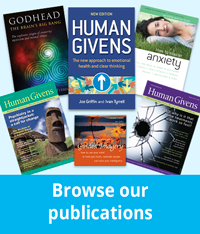 We are very excited to announce that the journal Mental Health Review has in press two peer reviewed academic papers showing the effectiveness of the human givens approach; one involving the treatment of mild to moderate depression and the other to the therapeutic value of the HG Emotional Needs Audit (ENA) tool. 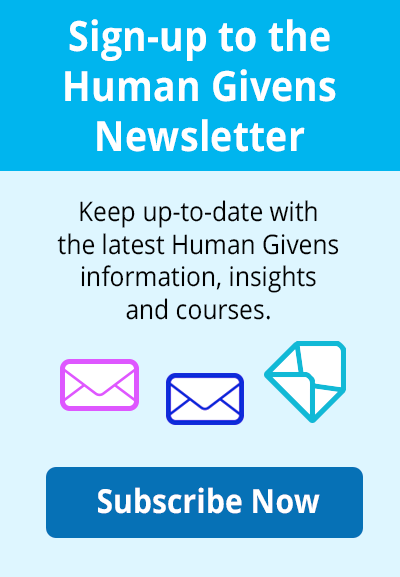 Anyone who has used the human givens approach over the last decade years will know what a big difference this research could make to organisations and individuals wishing to pitch for funding for HG or further develop the approach to help their clients and service users. Purpose: This paper aims to present the findings of research commissioned by a Primary Care Trust in the UK to assess the implementation of a new pilot Human Givens mental health service (HGS) within primary care. Method: Participating General Practitioners practices were designated as either ‘Human Givens’ or ‘Control’ practices. The study focused on service users with mild to moderate depressed mood measured using HADS. The well-being of these participants was examined at the point of referral, and after four, eight and 12 months using three well being questionnaires. Findings: The results revealed that emotional well being significantly improved during the first four months following referral for both groups and this improvement was maintained up to and including one-year post referral. Compared to the Control group Human Givens therapy was found to be of shorter duration, lasting 1-2 sessions compared to standard treatment, which lasted on average four sessions. 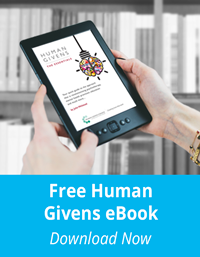 Originality/value: Apart from the psychological insight and emotional support, it is suggested that Human Givens therapy might help the client to better function in society and maintain their sense of social integration. This has benefits to other providers of social care. That the HG model be officially considered by the NHS as a bona fide model of therapy in its own right. This would greatly hasten the implementation of further studies and ease commissioning from managers acquainted with, and confused by, the variety of therapeutic models to choose from. That NICE should be made aware of some of the techniques used by this approach. The most obvious candidate for this would be the imaginal exposure technique known as ‘rewind’, which has much in common with established imaginal exposure techniques used in CBT and already approved by NICE. 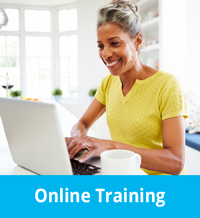 That training in the HG methodology and concepts be formally accepted as a mainstream option for CPD within the mental health community. Griffin and Tyrrell's (2004) human givens book proposed that to live successful and fulfilling lives we need to have certain needs met and are born with the resources to do so. The needs and resources, they called the Human Givens. The needs are listed in the Emotional Health Audit. They further propose that if any needs are seriously unmet or if our innate resources are damaged, missing or used incorrectly we suffer distress, typically anxiety depression or anger. Human Givens therapy therefore aims to discover the areas where needs are unmet or where the patient might not be using their innate resources correctly and help a person to create ways to meet previously unmet needs. The correlation of the ENA to already validated wellbeing and depression scales would support the Human Givens proposals that quality of life and mental ill-health and well-being is proportionally related to how well we are able to meet our emotional needs and getting those needs met should be the goal of therapy. Unmet emotional needs can discovered with the ENA and further, effectiveness of treatment may be monitored by doing the ENA before and after sessions, without the need to perform other previously validated measures. Our findings show that the Emotional Needs Audit is acceptable in the domains of internal consistency, concurrent validity, discriminant validity, predictive validity, sensitivity and specificity. This suggests that it is a valid instrument for measuring emotional wellbeing, quality of life and emotional distress. We conclude that in addition to measuring symptoms and satisfaction with life, the ENA is capable of providing greater understanding of the causes of any problems, and therefore has the potential to be the more useful instrument in clinical practice. Indeed we would argue that the results from ENA might allow a practitioner to develop a level of communication that might therapeutically assist the start of treatment. We hope you can use this independantly reviewed research to further advance the causes of improved mental health, sanity in organisations and better education across the UK and beyond. The emotional needs audit (ENA): A report on its reliability and validity. Assessing the effectiveness of the “human givens” approach in treating depression: a quasi experimental study in primary care.